Popular game engine Unity has partnered with Tencent to bring more Western titles to China through the firm’s cloud service. 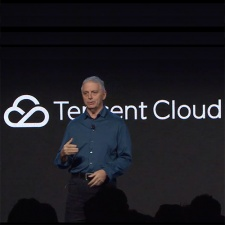 At Unity’s GDC 2019 keynote, CEO John Riccitiello revealed the collaboration with the Chinese tech and games giant allowing developers to utilise the Tencent Cloud Service as a shortcut for launching games in the country. The service will become accessible later this year. With China having such strict regulations for publishing, this deal could potentially see more games arrive in the region. However, the Chinese government has only just started approving titles after a licensing freeze began in March 2018. Alongside this partnership, Unity has acquired virtual texturing platform Graphine to help improve texturing systems on the platform. A partnership with Nvidia was also established that will introduce a real-time ray tracing solution. During the same keynote speech, Activision was revealed to be teaming with Tencent on Call of Duty Mobile which is built on the Unity game engine.